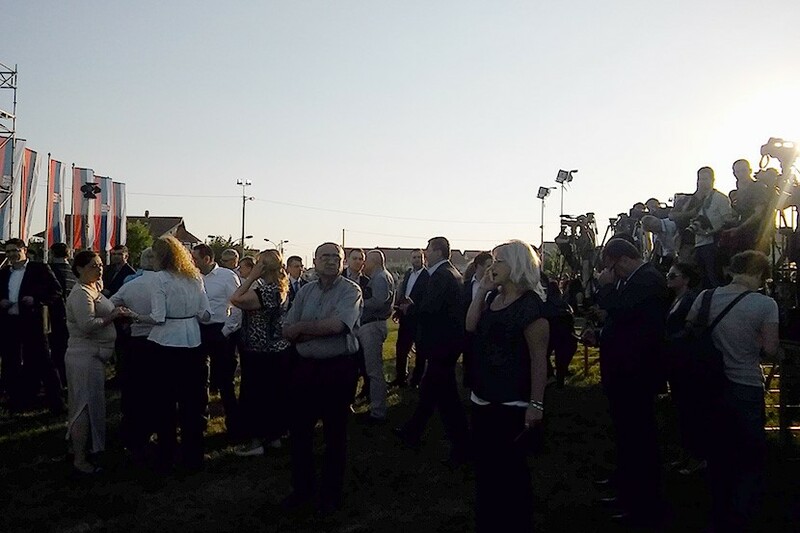 On August 4th in the village of Busije situated in the municipality of Zemun, a central national event took place for the purposes of commemorating August 5th – the Day of Remembrance of Suffering and Persecution of Serbs from Croatia. On that occasion, His Holiness Patriarch Irinej served a memorial service for the victims. 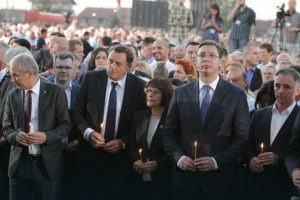 Subsequently, the congregation were addressed by Serbian Prime Minister Aleksandar Vučić, president of Republika Srpska Milorad Dodik, as well as by Dr Jelena Šarić, a “girl from the refugee convoy”. That was the biggest ethnic cleansing in the recent history of Europe. Patriarch Irinej emphasised that “such annihilation was experienced only by Jews, Armenians and Serbs at the hands of Ustaša”. In the course of this ungodly pogrom nearly 250 000 people of Serbian nationality have been expelled from their ancestral homes. “It is necessary to remember, but it is even more beneficial to forgive. To err is human, to forgive is divine. This is taught by our faith and by the Christ himself. We are also invited to forgive, but never to forget, lest a greater evil befall us. We are all invited to build peace and friendship”, Patriarch Irinej concluded in his sermon. The entire event, which had a sad, solemn and dignified tone, was accompanied by a suitable cultural and artistic programme, theatrical narratives and choral singing. The central national event was attended by the members of the National Assembly and the Government, leaders of Republika Srpska, representatives of the Army of Serbia, of Serbian Orthodox Church, as well as by diplomatic corps, district chiefs, and citizens. 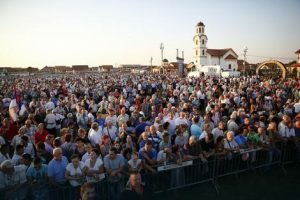 Among the thousands of people who gathered in the village of Busije there were mostly those who originated from Krajina and Bosnia. This was yet another painful memory of not so distant past which must never be forgotten.